Tanwir Jamshed the fashion designer is the creative master mind behind the name Teejays. The fashion designer Tanwir has undoubtedly became a legend in his own life with the help of Teejays. The label named Teejays is also recognized as the most Inspiring fashion brand of Pakistan. Actually the specialty of this label is very out standing. The brand name Teejays is basically to ‘Shalwar Kameez’ like ‘Levi’s is to Jeans’. In the Entertainment Industry, the creations of the Teejays have always added graceful touch. In 1973, they first made their debut by designing for the PTV wardrobes for the famous drama serial ‘Kiran Kahani’. Actually the fashion designer Tanwir Jamshed has a rich knowledge and also the sense of understanding the world affairs. 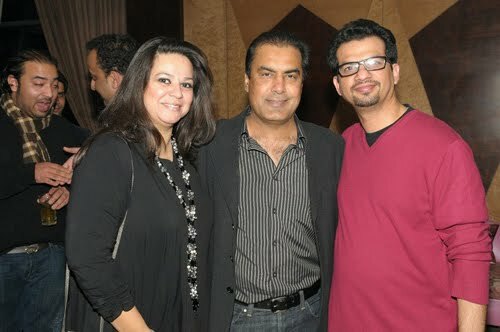 Actually the name Tanwir Jamshed is an outstanding fashion designer who has a gold heart for the Pakistani society. He always gives support and always recognized the quality of all the creative persons and helps creative persons and also guides them to make the most of their talents. He is the person who always gets the full picture of any work before starting it and avoids jumping to a conclusion. In more then 150 Pakistani TV serials, TJ has created more then 5000 shalwar-kameez designs. hello teejays, I was wondering did you supply the clothes for hayaa in t.v drama mere mehrbaan I am really interested in buying some of them . Hi teejayes, actually I want to know that your dresses in humsafar drama serial khirad’s ‘main theme the black one’ and ‘green one’ are still available or can you make it .I want to know the prices of both dresses and the criteria to place an order.